A Ta Prohm temple plan or good local guide is essential in this complex and ruined site. Of all the Angkor temples this ranks among many visitors' favourite. 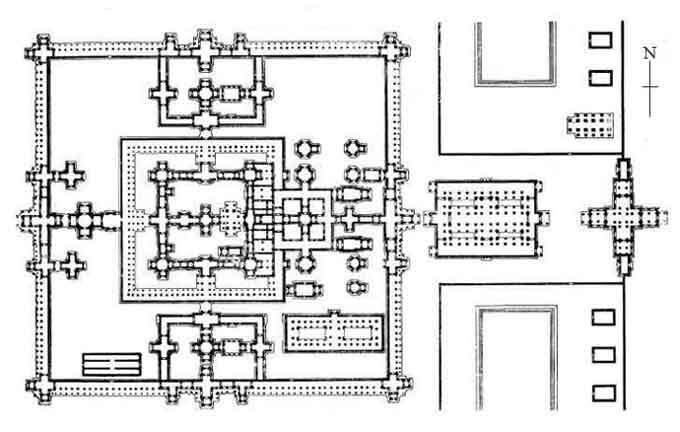 The floor plan illustrates a well ordered site but the reality is a very ruined maze of hidden courtyards and galleries which are great fun to explore.